The quest to position Takoradi Port as the oil and gas services hub in the West African sub-region has been boosted by General Electricals Oil and Gas — a sub-contractor of Tullow Oil —as the company steadily constructs its fabrication yard in the port. 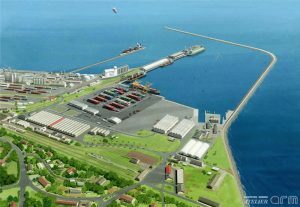 Construction of the facility, which sits on a 10,000 square-metre land, is part of Takoradi Port’s expansion project and will serve as the base area for General Electricals as it plans to produce undersea and heavy equipment for the oil and gas business in the port community. The fabrication yard will house a lay down for General Electricals to store equipment and work materials, a workshop structure and offices for General Electric Oil and Gas, and cover a wide area that enables them work in an unconstrained environment. Principal Public Relations Officer of Takoradi Port, Peter Bediako, shared the economic benefits of the facility after a site inspection tour: “This facility could have been built in any other African country, and that would have robbed the country of the economic benefits with regard to employment opportunities for the youth and the revenues that can be accrued by government. 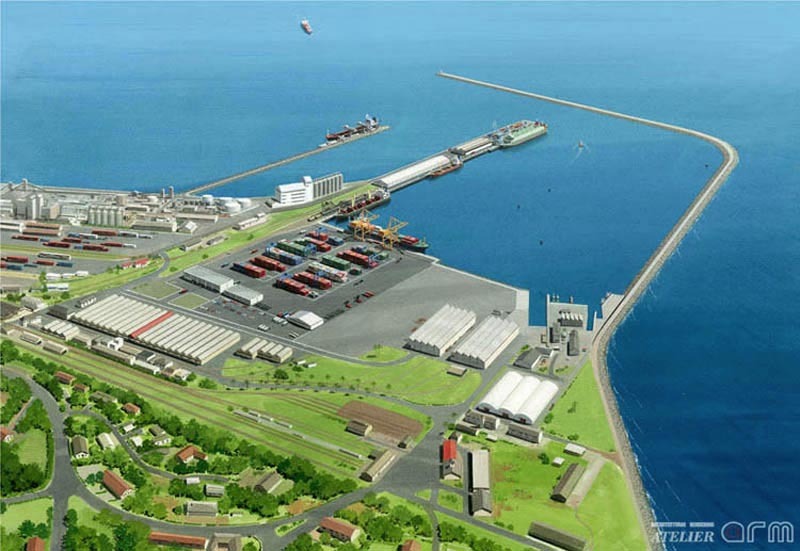 The erstwhile export-led Takoradi Port is gradually being positioned as an oil and gas services hub for the sub-region as part of its ongoing expansion works. The plans is to set up an oil and gas services platform that takes advantage of the buoyant oil and gas sector, and to ensure that locals have a fair share of the oil booty while creating job opportunities for the country’s teeming unemployed youth. Mr. Bediako commended General Electricals for the decision to invest in the country, and indicated more of such partnerships will be needed toward the establishment of a formidable oil and gas services platform in the port community. He added: “This is a strong support base for the oil and gas industry in the country; for the Takoradi Port to position as an oil and gas services hub, we need partnerships with strong industry giants. Project Manager of the company, Catherine Annum, touched on the idea behind the tour: “This forms part of a routine to ensure that construction of the facility meets the set deadline; we are here to ensure that whatever we construct is done according to specifications and meets the satisfaction of our client, as the facility will be needed for drilling and completion works offshore”. She indicated that the project, when completed, will make it very convenient for the company to execute its business; and is optimistic that the facility will bring immense benefits to the country as it repositions Takoradi Port in the oil and gas industry.